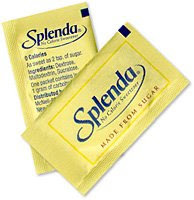 Rebecca Tushnet’s 43(B)log writes about the latest development in the ongoing trade dress dispute between McNeil Nutritionals, LLC (“McNeil”), the Johnson & Johnson division that makes Splenda® artificial sweetener (a brand of the artificial sweetener, sucralose), and Heartland Sweeteners LLC (“Heartland”), which produces and distributes store-brand sucralose in a similar looking yellow packaging for big-chain supermarkets. After the Third Circuit Court of Appeals reversed-in-part the district court’s prior decision in favor of Heartland (see prior blog post on the Third Circuit's decision here), the district court, on remand, conducted the necessary additional evaluation to determine if injunctive relief was appropriate for the packaging which the Third Circuit found the likelihood of confusion factors favored McNeil Nutritionals, specifically, packaging used by Heartland for sucralose sold at Royal Ahold NV’s Giant Supermarket. See McNeil Nutritionals, LLC v. Heartland Sweeteners LLC, Case No. 06-cv-05336 (E.D. Pa. June 26, 2008). 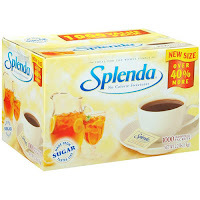 The court, upon remand and applying the remaining factors of the four factor test for issuing injunctive relief, determined that an injunction should issue with respect to approximately $340,000 of Heartland’s remaining inventory of the infringing box (Heartland notably redesigned its product packaging to be different than McNeil’s Splenda packaging). 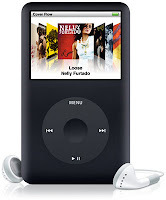 On June 17, 2008, United States District Judge Joe Fish of the Northern District of Texas refused to dismiss a trademark infringement lawsuit brought by Full Sail, Inc. (“FSI”) against Dauben, Inc. (d/b/a Texas International Property Associates) (“TIPA” or “Dauben”) arising from Dauben’s registration of the domain name FULLSAILUNIVERSITY.COM and using it to feature a web directory page with multiple click-through links to other education institutions. See Full Sail Inc v. Dauben Inc et al, 2008 U.S. Dist. LEXIS 47278, Case No. 08-cv-00446 (N.D. Tex. June 17, 2008). For some background on Texas International Property Associates (a name that many large company’s dealing with cybersquatters and typosquatters readily recognize), read this article here (from The Dallas Morning News). For a previous post on the growing trademark infringement litigation over “click-through web directories,” click here. FSI operates an educational institution in Winter Park, Florida, that specializes in careers in music, film, video games, design, animation, and the entertainment business. Since 1979, FSI has used the mark FULL SAIL in connection with its education services. 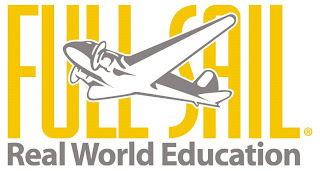 FSI has registered the FULL SAIL mark for various goods and services including educational services; retail store services; film related textbooks, newspapers, newsletters and magazines; clothing items; and prerecorded films dealing with the operation of audio, video and digital media equipment. FSI has also filed several intent-to-use applications for the mark FULL SAIL UNIVERSITY for Retail store services and instructional manuals; Clothing items; Film related textbooks, newspapers, newsletters and magazines; and Motion pictures, video games, etc. On June 10, 2008, the PTO registered the mark FULL SAIL UNIVERSITY for educational services (although this was still a pending application for purposes of the court’s decision). FSI filed its complaint against Dauben alleging federal trademark infringement under 15 U.S.C. § 1114, federal unfair competition under 15 U.S.C. § 1125(a), trademark dilution under 15 U.S.C. § 1125(c), cybersquatting under 15 U.S.C. § 1125(d), and related state law claims. FSI claims that consumers looking for FSI are misdirected to TIPA’s website and that TIPA is unfairly profiting from FSI’s name and reputation by using a name intended to cause confusion. TIPA filed a motion to dismiss for lack of subject matter jurisdiction and for failure to state a claim upon which relief can be granted pursuant to Federal Rules of Civil Procedure 12(b)(1) and (b)(6). The court denied TIPA’s motion to dismiss on both grounds. First, because determining the issue of federal question jurisdiction would require an investigation into the merits of FSI’s complaint of trademark infringement, unfair competition, dilution, and anti-cybersquatting provisions under the Lanham Act, the court assumed jurisdiction, turned its focus to whether FSI had stated a claim upon which relief can be granted, and denied TIPA’s motion to dismiss for lack of subject matter jurisdiction. See Montez v. Department of the Navy, 392 F.3d 147, 150 (5th Cir. 2004); Dell, Inc. v. This Old Store, Inc., 2007 U.S. Dist. LEXIS 73952, 2007 WL 2903845 at *1-2 (S.D. Tex. 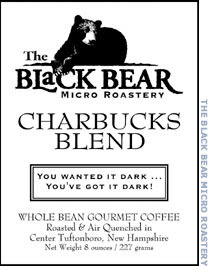 Oct. 3, 2007) (assuming subject matter jurisdiction in trademark dispute to decide the pending motion to dismiss for failure to state a claim). Second, in arguing that FSI did not state a claim upon which relief could be granted, TIPA argued that FSI had not registered the FULL SAIL UNIVERSITY mark, but merely filed intent-to-use applications, which does not result in a vested property right that could be infringed upon and that TIPA’s prior use gave it priority over FSI’s later filed applications. The court rejected this argument noting that FSI’s claims of trademark infringement were also grounded in its federal registrations for the FULL SAIL mark. TIPA attempted to argue that this mark alone would be insufficient to support a Lanham Act claim; however, the court noted that likelihood of confusion was the real issue and that “It is not a stretch for the court to envision a likelihood of confusion among consumers between the defendant's FULLSAILUNIVERSITY.COM website, which contains the plaintiff's mark, and the plaintiff's mark as it relates to educational services, and that is sufficient for the claim to survive at the 12(b)(6) stage.” The court also noted that arguments concerning the likelihood of confusion are premature because the necessary factual determination is inappropriate at the motion to dismiss stage. The remainder of FSI’s were claims were found to have been properly pled with sufficient factual allegations that, if true, would support each of the claims, and therefore TIPA’s motion to dismiss such claims were denied. On June 20, 2008, MGM Grand Hotel, LLC (“MGM”) and Signature Condominiums, LLC (“Signature” and together with MGM, the “Plaintiffs”) filed a trademark infringement lawsuit in the U.S. District Court for the District of Nevada against an individual named Jarrett Curd. See MGM Grand Hotel, LLC et al v. Curd, Case No. 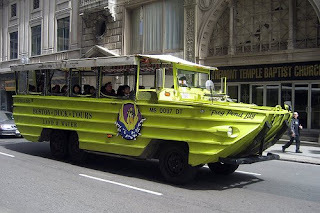 08-cv-00753 (D. Nev). A copy of the complaint can be downloaded here. 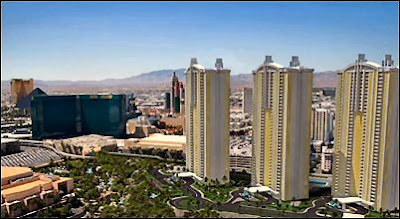 Signature manages the three tower condominium-hotel project gracing the Las Vegas skyline known as "The Signature at MGM Grand.” (“The Signature”). MGM owns a federal trademark registration for the design mark THE SIGNATURE AT MGM GRAND (pictured below) (the “Signature Logo”). Curd allegedly owns one or more units in The Signature. According to the complaint, Curd independently offers his units at The Signature for booking by guests using the business name “Owners Suites at Signature MGM Grand." Curd also acquired the domain name http://www.signaturemgmgrandownerssuites.com/, which now simply forwards to the Curd’s current website -- http://www.ownerssuitesatsignature.com/ (although it may not have at the time). It should be noted that Curd’s current website does not actually use the whole name “Owners Suites at Signature MGM Grand" (probably after advice from counsel), but instead uses “Owners Suites® at Signature” (a name which has its own problems, but I will address that later). Please be advised that effective immediately, The Signature at MGM Grand,Las Vegas, Nevada will no longer be represented by MGM/Mirage (MV)Central Reservation Services. 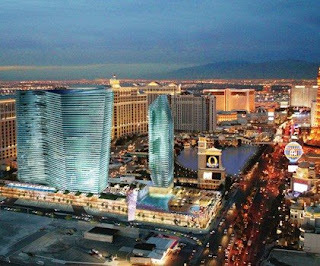 This hotel will now be represented by InnLink Central Reservation Services as Owners Suites at Signature MGM. ven more, Curd provided MGM MIRAGE’s GDS property codes and chain code to enable the GDS providers to change these codes. Curd supposedly signed the letter as President of Signature. Someone at InnLink later followed up with the GDS partners regarding the new codes, the result of which is that travel agents could not for some period of time use the GDS system to book rooms at The Signature. 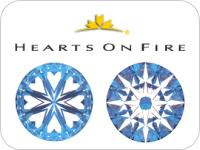 After Signature realized what had happened, Plaintiffs’ counsel, on December 21, 2007, sent a cease and desist letter to Curd demanding that he stop his conduct, stop using the name “Owners Suites at Signature MGM Grand,” take down his website and transfer the ownership of http://www.signaturemgmgrandownerssuites.com/ to MGM. When Curd responded to Plaintiffs’ counsel on December 29, 2007, he claimed that the changing of the reservation codes was a “misunderstanding.” Shortly thereafter, Curd deactivated the http://www.signaturemgmgrandownerssuites.com/ website (although now it forwards to Curd’s other website). Since that time, Signature has apparently received several complaints from customers who booked a unit at The Signature through Curd and his website. Curd supposedly told one guest that Curd would pay for all service charges during the customer’s stay; however, the guest was ultimately charged for such services and the guest informed Signature representatives that Curd’s practices do not “look good” for Signature. In May, Signature supposedly received another complaint from a customer who had booked a room at The Signature from a "Jonathan Jared” although the actual unit was owned by Curd. On May 29, 2008, another guest showed up at The Signature who said that he had booked a unit through Curd’s website; however, Signature had no record of the reservation and Curd’s unit had already been booked. Plaintiffs, without citing any evidence, also maintain that Curd is offering to book units that he does not own and is booking units without paying the required transient service fees to Signature. Plaintiffs allege that Curd's conduct has injured and is likely to continuing injuring the goodwill and reputation of Signature and MGM’s mark. Plaintiffs’ causes of action are for registered trademark infringement, unfair competition, false advertising, trade dress infringement, common law trademark infringement and unfair competition, and intentional interference with a prospective economic advantage. Plaintiffs seek injunctive relief, the usual damages (compensatory, punitive, exemplary, statutory, treble, and all other damages), costs and attorneys’ fees. Interestingly, the first thing I notice upon viewing Curd’s website was not the references to Signature, MGM, or even any kind of similarity with Signature’s website – what I noticed was the following: “Owners Suites® at Signature.” I checked the U.S. Patent and Trademark Office’s (“USPTO’s”) TARR database and there is no federal registration for the mark “Owners Suites.” There is not even an application pending. As every trademark practitioner knows, use of the ® for a mark that is not registered with the USPTO can constitute fraud. I’m surprised Plaintiffs did not throw in a “fraud” claim based on Curd’s use of the ® symbol (maybe it would force them to acknowledge that Curd had changed his website and removed references to MGM Grand, although he still references Signature, but arguably a fair use reference). I also checked with the Nevada Secretary of State (many people think that a state registration allows a person to use the ® symbol, even though it does not), but found nothing. Of course, this little misuse of the ® symbol is the least of Curd’s troubles right now. 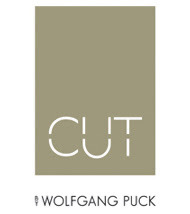 I previously wrote here about the lawsuit filed by Wolfgang Puck against Wolfgang Zwiener over the latter’s use of the name “Wolfgang’s Steakhouse by Wolfgang Zwiener” in connection with Zwiener’s recently opened Beverly Hills steakhouse which is close in proximity to Puck's own Beverly Hills steakhouse restaurant, Cut. See also BusinessWeek.com’s article on the dispute here. Yesterday, Zeiener announced in a press release that he had filed an answer to Puck’s initial complaint which also asserted a breach of contract counterclaim against Puck claiming that Puck, by challenging Zwiener’s chosen name for his steakhouse, breached a March 2007 settlement agreement reached between the two which purportedly allowed Zwiener to open steakhouses outside New York City using the disputed name. Puck, however, claimed in the original lawsuit that the deal was that Zwiener agreed to display his name prominently alongside any future restaurant – and Puck agreed to do the same should he establish a restaurant in Manhattan. Puck’s issue is with the fact that the “by Wolfgang Zwiener” is in much smaller font than the Wolfgang’s Steakhouse. Despite Puck’s melodramatic effort to paint Defendants as villains straight out of “Casablanca,” . . . the actual evidence reflects not a creative Hollywood movie plot, but only a more mundane and entirely legitimate business decision. Defendants expanded into Beverly Hills, as they had an absolute right to do under the Settlement Agreement with Puck, and conducted themselves in complete accordance with that agreement. 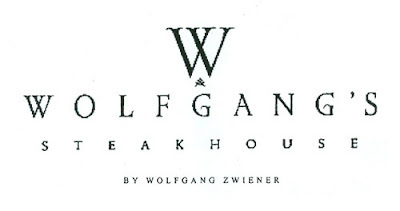 Defendants sought to build on their own reputation developed as a result of their successful introduction of other “Wolfgang’s Steakhouse” restaurants in New York. While Puck may envision an imaginary world filled with sinister plots to take advantage of his good name, the record evidence simply does not support the Hollywood fiction he seeks to create. The Austin Business Journal ran an article today (link here) on a lawsuit filed by the Sweet Leaf Tea Company (“Sweet Leaf Tea”), a producer of a line of ready-to-drink teas marketed under the name Sweet Leaf Tea, against United American Industries, Inc. (“UAI”), which does business under the tradename Wisdom Natural Brands and sells a brand of stevia sweetners (a natural sugar substitute) under the design mark SWEETLEAF (for nutritional supplements). 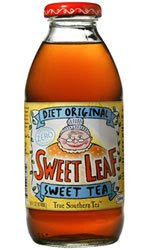 Sweet Leaf Tea received a cease-and-desist letter from UAI demanding that Sweet Leaf Tea stop using the mark Sweet Leaf on its beverage products. 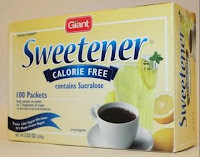 Facing the imminent threat of a trademark infringement lawsuit, Sweet Leaf Tea opted to fight the battle on its own turf and filed a lawsuit seeking a declaratory judgment of noninfringement. See Sweet Leaf Tea Company v. United American Industries, Inc., Case No. 08-cv-00441 (W.D. Tex. May 29, 2008). 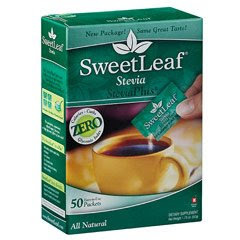 Having never filed for any applications to register its mark with the USPTO, Sweet Leaf Tea is relying upon its common law rights to use the name Sweet Leaf, which it has been using since 1998 for its ice teas, as well as a laches argument against UAI. On April 16, 2008, Sweet Leaf Tea filed two applications to register the mark SWEET LEAF (for ice tea and lemonades). The Tenth Circuit Court of Appeals affirmed a lower court decision denying claims of trademark infringement, unfair competition, and cybersquatting by an organization critical of the Church of Jesus Christ of Latter-day Saints (LDS Church). See Utah Lighthouse Ministry v. Foundation for Apologetic Information and Research et al., Appeal No. 07-4095 (10th Cir. May 29, 2008). A copy of the decision can be downloaded here. Jerald and Sandra Tanner founded the Utah Lighthouse Ministry (UTLM) in 1982 as an organization dedicate to critiquing the LDS Church. UTLM sells books critical of the LDS Church both at its Utah bookstore and online through its website (http://www.utlm.org/). Prominent text on the Wyatt website consists of a slight modification of the language located in the same position on the UTLM website. For example, the UTLM website states: "Welcome to the Official Website of the Utah Lighthouse Ministry, founded by Jerald and Sandra Tanner." In comparison, the Wyatt website states: "Welcome to an official website about the Utah Lighthouse Ministry, which was founded by Jerald and Sandra Tanner." (emphasis added.) The Wyatt website does not have any kind of disclaimer that it is not associated with UTLM. The Wyatt website did not contain any advertising or offer any goods or services for sale, and included hyperlinks to an organization at Brigham Young University, articles on FAIR’s website criticizing the Tanners, and links to FAIR’s website and the LDS Church. In addition, Wyatt, through his company Discovery Computing, Inc. (“Discovery”), registered ten domain names -- combinations of the words “Utah Lighthouse Ministry," "Sandra Tanner," "Gerald Tanner," "Jerald Tanner," and ".com" and ".org." Wyatt’s website was first publicized to FAIR members in April 2004. Presumably in response to UTLM’s complaint, Wyatt later shut down the website and began transferring the domain names to UTLM in April 2005. UTLM’s complaint against FAIR, Wyatt, and Discovery asserted six causes of action—federal trademark infringement, federal unfair competition, federal trademark dilution, cybersquatting, federal trade dress infringement, and unfair competition under Utah state law. The parties filed cross-motions for summary judgment, and the district court denied Plaintiff's motion and granted Defendants' motion on all six counts. See Utah Lighthouse Ministry v. Foundation for Apologetic Information and Research et al., Case No. 05-CV-00380 (D. Utah). UTLM appealed the district court’s decision on all claims except dilution, but only briefed the issues of trademark infringement, unfair competition, and cybersquatting, so the court only addressed those three claims on appeal. Addressing the trademark infringement and unfair competition claims together, the court started its analysis by noting that UTLM, to make out a case for trademark infringement, must show that the mark is protectable, must demonstrate the Defendant’s use of the mark in connection with any goods or services, and must establish that such use is likely to cause confusion, or to cause mistake, or to deceive as to the affiliation, connection, or association of such person with another person, or as to the origin, sponsorship, or approval of his or her goods, services, or commercial activities by another person. See 15 U.S.C. § 1125(a). UTLM argued that it was entitled to a presumption of protectability because the UTAH LIGHTHOUSE is a registered trademark/servicemark. However, as the district court noted, the mark was registered on July 25, 2006 – after UTLM had filed its lawsuit – and thus not entitled to the presumption of validity afforded to registered marks under 15 U.S.C. § 1115(a). [The court, in a footnote, stated “It is not clear that a mark must be registered at the time the suit is filed to benefit from the statutory presumption, but it is not necessary to decide that issue on this appeal.” Slip op. at 8, fn. 3.] The district court further found that UTLM had failed to show evidence that its mark had acquired a secondary meaning. While UTLM argued on appeal that its mark is distinctive by virtue of it being arbitrary, and thus no showing of secondary meaning is necessary, UTLM did not raise this argument at the district court level, instead relying entirely on its federal registration. The court declined to exercise its discretion to consider UTLM’s arguments raised for the first time on appeal. 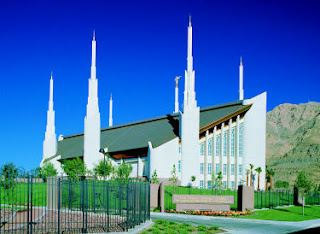 The court also noted that UTLM’s evidence to the district court, which could be construed as an argument of acquired secondary meaning, consisted solely on the number of "hits" generated by searches for UTAH LIGHTHOUSE on the Yahoo and Google search engines and on the websites of other organizations associated with the LDS Church. The court found such evidence lacked any accompanying evidence showing that the relevant market of consumers had visited the websites containing these hits, and thus was insufficient to show that the mark had acquired a secondary meaning. The court next addressed UTLM attempts to prove the second factor – Defendant’s use of the mark in connection with any goods or services, specifically, that Wyatt’s website was “commercial” and thus his use of UTLM’s mark was “in connection with any goods or services." 15 U.S.C. § 1125(a)(1)). 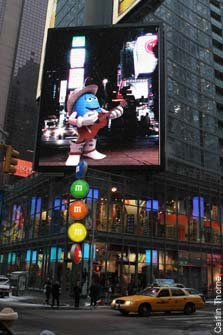 UTLM’s second argument was that the Wyatt website and use of the UTLM mark was commercial because it prevented consumers from accessing UTLM's own goods and services – the so-called “interference” theory of commercial use where a party’s use of a trademark is in such a way that it frustrate users and prevents them from reaching the goods and services of the trademark owner. The court commented that such a theory of commercial use (i.e., use in connection with the trademark owner's sale of goods or services is commercial use) eliminates the requirement of an economic competitor and thus is inconsistent with Lanham Act’s purpose of protecting the ability of consumers to distinguish among competitors. 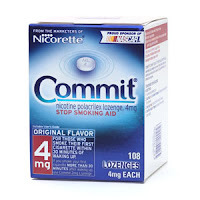 The court also stated that this theory was criticized by the Ninth Circuit in the Bosley case on the basis that it would subject otherwise protected critical consumer commentary to the provisions of the Lanham Act. UTLM’s final argument was that Wyatt’s use of the trademark on the Internet itself constituted commercial use. However, the court rejected UTLM’s argument that any use of a trademark on the Internet is a use "in connection with goods or services." The court, responding to UTLM’s arguments, clarified that while use of a trademark on the Internet may be sufficient use in interstate commerce to satisfy a jurisdictional requirement, such use does not automatically satisfy the “commercial use” necessary for liability under the Lanham Act. In the end, the court found that Wyatt’s use of UTLM's UTAH LIGHTHOUSE mark was not in connection with any goods or services, and thus such use could not be the basis for UTLM's trademark infringement and unfair competition claims. The district court had found no likelihood of confusion based on its analysis of the six factors and its determination that the Wyatt website was a parody of the UTLM website. The court, in balancing the six Sally Beauty Co. factors, found the factors weighed in favor of a finding of no likelihood of confusion. There was no dispute regarding similarity of the marks, which favored UTLM. As for the intent on Wyatt’s part in choosing the UTLM’s mark, no inference of confusion could be drawn from Wyatt’s intentional use of UTLM’s mark since his use was that of a parody and the benefit derived by Wyatt in using UTLM’s mark was the benefit from the “humorous association, not from public confusion as to the source of the marks. . . .” Slip op. at 19. The court agreed that there was no credible evidence of actual confusion. Regarding similarity of goods/services offered and of marketing channels, the court noted some similarity between the goods sold by UTLM and FAIR, but that “any potential for confusion created by the similarity in goods and manner of marketing is mitigated by the lengthy path a consumer must take to reach the goods offered for sale. The FAIR bookstore does not use UTLM's trademark, and a searcher must click through a website that does not resemble the UTLM website in order to reach FAIR's bookstore.” Slip op. at 20. As for degree of consumer sophistication, the court held that one could infer that potential customers of the UTLM bookstore are discerning and sophisticated about where they purchase books on controversial religious subjects. While the district court found the factor irrelevant, the court found the factor to favor FAIR because, much like with the fourth factor, “the absence of the UTLM trademark on the FAIR website or the FAIR bookstore lessens the chance that a consumer would be mislead into believing that she is visiting the UTLM online bookstore. Therefore, this factor does not weigh in favor of a finding of likelihood of confusion.” Slip op. at 21. Finally, with respect to the strength of the mark, UTLM had not submitted any evidence to the district court regarding the strength of the mark and the district court determined that UTLM's evidence of search engine hits did not demonstrate that the mark had significant recognition in the marketplace. The court found the evidence to support a finding that the commercial strength of the mark weighed against a finding of confusion. The court noted that even if it were to consider UTLM’s arguments of strength made for the first time on appeal, this alone would not suffice to find a likelihood of confusion. The court added that while it concluded no likelihood of confusion based on the conventional balancing of the factors, the fact that Wyatt’s website was a parody website provided “an even more convincing explanation of why consumers are unlikely to be confused.” Slip op. at 22. The court found no error on the district court’s part in finding that the Wyatt website was a parody because it would be immediately apparent to anyone visiting the Wyatt website that it was not the UTLM website due to the differences in content. The court noted that there were sufficient differences between the content and style of the two websites to avoid the possibility of confusion. In the end, the court found that UTLM had failed to produce sufficient evidence to support a finding that its UTAH LIGHTHOUSE mark is protectable, that Defendants' use of the mark was in connection with any goods or services, and that Defendants' use of the mark was likely to cause confusion among consumers as to the source of the goods sold on the FAIR online bookstore. 1) that its trademark, UTAH LIGHTHOUSE, was distinctive at the time of registration of the domain name, (2) that the domain names registered by Wyatt, including utahlighthouse.com and utahlighthouse.org, are identical or confusingly similar to the trademark, and (3) that Wyatt used or registered the domain names with a bad faith intent to profit. The second element had been established because Wyatt admittedly registered utahlighthouse.com and utahlighthouse.org, which are confusingly similar to the UTAH LIGHTHOUSE mark. However, based on the court’s determination above that the UTAH LIGHTHOUSE was not distinctive, the court found that UTLM had not established the first element. In addition, UTLM failed to demonstrate the third element – a bad faith intent to profit. The court, looking at the nine nonexclusive factors set forth in the ACPA (see 15 U.S.C. § 1125(d)(1)(B)(i)), found several of factors which the court stated readily defeated an inference that the Wyatt intended to profit by using domain names similar to UTLM's trademark. The first such factor was the domain name registrant’s “bona fide noncommercial or fair use of the mark in a site accessible under the domain name.” See 15 U.S.C. §1125(d)(1)(B)(i)(IV). The court agreed with the district court’s determination that Wyatt’s use was both entirely noncommercial and a fair use parody, and thus was not use of the mark in bad faith. Wyatt’s website was a parody that offered an indirect critique and lacked an overt commercial purpose. The second factor critical to the court’s determination was the defendant’s intent to divert consumers to a website that “could harm the goodwill represented by the mark, either for commercial gain or with the intent to tarnish or disparage the mark, by creating a likelihood of confusion as to the source, sponsorship, affiliation, or endorsement of the site.” See 15 U.S.C. § 1125(d)(1)(B)(i)(V). The court agreed with the district court’s conclusion that Wyatt’s website created no likelihood of confusion as to its source, or whether it was affiliated with or endorsed by UTLM, and thus did not evidence any intent on the part of the Defendants to divert consumers and to take advantage of or harm the goodwill of UTLM’s mark. The court concluded that Wyatt lacked a bad faith intent to profit from the use of UTLM's trademark in several domain names linked to the Wyatt website. 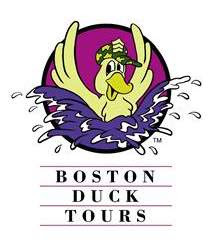 The court added that Wyatt’s website, as a parody, fits within the "safe harbor" provision of the ACPA (see 15 U.S.C. § 1125(d)(1)(B)(ii): precluding a finding of bad faith intent if “the court determines that the person believed and had reasonable grounds to believe that the use of the domain name was a fair use or otherwise lawful.”). 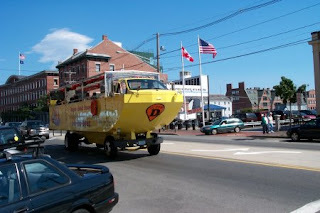 Because Wyatt’s website was deemed a parody, Wyatt could have reasonably believed that use of the domain names incorporating UTLM’s trademark was legal, and thus the safe harbor provision applied to Wyatt’s use.